From beginner basics to perplexing polyrhythms, Vince will be sure to get you into the groove. Whether your interest is guitar or drums, get ready to dig into some funk, vibe some reggae, jam some prog rock, and much more ! Vincent Reel is a graduate of Cardinal Carter Academy for the Arts. There he studied concert percussion from grades 7-12 where he focused on music theory, history and performance. Vincent competed annually in the Kiwanis festivals with the CCAA Wind Symphony and Concert Band, consecutively scoring Gold Class rankings. Studying at CCAA he toured New York, where the Wind Symphony took home 8 awards, as well as Chicago where they placed first in the Heritage Festival Competition. During the time he spent there, Vincent received the Academic Band Award three times. In 2009 his section was presented with the Percussion Excellence Award at the Ontario Band Association Festival. In his final year he was Principal Percussionist and coached various Chamber Percussion groups. Before his time at Cardinal Carter, Vincent studied at Soul Drums School for 3 years with Rod Fogarty and Richard Greenspoon where he was awarded a $1000 Student Scholarship for his efforts. There he began to develop his musical style which combines funk, rock, reggae and new-age drumming. He has also performed jazz, metal, classic rock covers, as well as a variety of mallet percussion recitals. 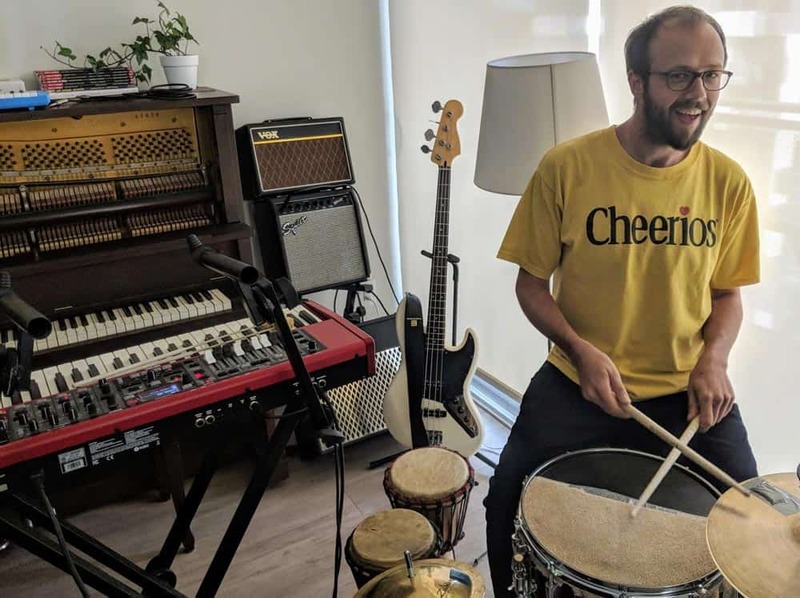 Vincent has been giving private drum lessons for three years and is currently in a reggae band alongside two members of the Elite staff whom he performs with weekly at Grossman’s Tavern. Inspired? Join one of Vince’s bands at Toronto Music Camp or Elite Music Academy.